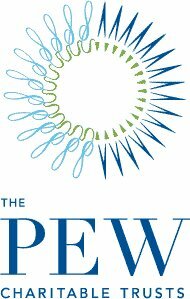 A recently released report from Pew Charitable Trusts has emphasized the need for change in the juvenile justice system as it reveals that many current practices are high cost with poor outcomes. The report highlights the growing body of research indicating that “lengthy out-of-home placements in secure corrections or other residential facilities fail to produce better outcomes than alternative sanctions” for many juvenile offenders. Below you’ll find a selection of the latest grants, jobs, webinars and events posted to our Opportunity Board. Please share the Reclaiming Futures Opportunity Board with your colleagues in the juvenile justice, adolescent substance abuse and teen mental health areas. Responders to Reclaiming Futures’ eNewsletter readers’ survey say they want to read about Juvenile Justice, Youth Development, Family Engagement, Youth and Family Voice, Disproportionate Minority Contact, and the School to Prison Pipeline. Most responders to the Fall survey report working in juvenile justice or with teen behavioral health treatment organizations, and both the personal as well as professional passion for helping youth came through strongly. Addiction to alcohol and other drugs impacts more than 85 million Americans. 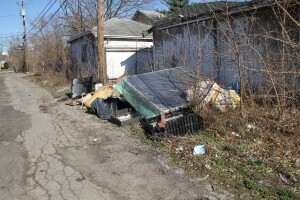 This growing problem has sparked a coast-to-coast addiction and recovery awareness campaign: UNITE to Face Addiction. A growing body of research is constantly giving fuel to the issue of childhood trauma and toxic stress—specifically, how they impact health outcomes in the future, and the critical need for juvenile and family courts to become trauma-informed in order to effectively treat these issues. 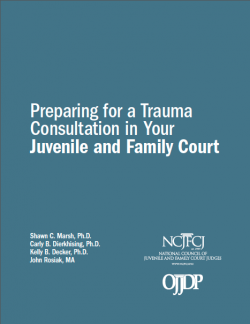 The latest effort to make trauma-informed courts widespread is from the National Council of Juvenile and Family Court Judges (NCJFCJ), which has released “Preparing for a Trauma Consultation in Your Juvenile and Family Court,” a guide for juvenile and family courts to become more trauma-informed. ACEs Too High, an online news site dedicated to adverse childhood experiences (ACEs), regularly reports on the need for more trauma-informed courts that are reflected in this NCJFCJ guide. A recent article by writer Ed Finkel reports on local courts who are adopting models of trauma-informed care, and other tools available, such as the Think Trauma curriculum for staff members in juvenile correctional facilities. Finkel also reported on the trauma-informed approach used by judges to administer sustainable solutions for at-risk youth. The article interviews several judges to gain their perspective on trauma-informed courts. Most recently, Pediatrician and ACEs leader Nadine Burke Harris brought ACEs to the forefront once again on a national stage during her TEDMED talk emphasizing the health impact of childhood trauma, indicating that those who have experienced high levels of this kind of toxic stress are four times more likely to become depressed, and 12 times more likely to attempt suicide. The NCJFCJ guide is more timely than ever, as more and more public health leaders are adding to existing evidence that emphasizes the need for trauma-informed care. A trauma-informed court can be a safe and effective point of intervention to vulnerable youth and families, and can help coordinate support or treatment to improve outcomes and get young people on a positive path. Cambiar, the Spanish word for change, was appropriately chosen as the name of a program in New Mexico that is attempting to transform the juvenile justice system and the young people in the system along with it. This transformation to reform, rather than punish, is modeled after Missouri’s juvenile justice system where most teen offenders are in prison schools or work programs, with access to family therapy. Reports indicate that 75 percent of Missouri’s youthful offenders get a year of education each year they are incarcerated—three times the national average. This has led to a startling improvement: 65 percent of offenders in that system are not rearrested within three years of release. “They [the Taylor Center] changed to smaller units where the kids were in groups of 12 rather than in large pods. They worked toward regionalization to try to get the kids closer to their families so they could have support from their families,” Sandra Stewart, director of Juvenile Justice Services in New Mexico, said. Stewart also emphasized that the transformation of the Taylor Center is due to its focus on learning, mental health counseling, and mentoring over lockdowns and punishments. Learn more about the Cambiar program on the State of New Mexico Children, Youth and Families Department (CYFD) website. Susan Richardson has recently announced her plans to leave the position of national executive director of Reclaiming Futures to return to her home state of North Carolina, and we are grateful for her years of excellent leadership. Yesterday, Reclaiming Futures appointed Mr. Evan Elkin as national executive director, effective May 11, 2015. There are 2.5 million alcohol-related deaths worldwide every year. Approximately nine percent, or 320,000 of those deaths, are among young people aged 15-29. April is Alcohol Awareness Month, and there are many ways to get involved to help create awareness and encourage individuals and families to get help for alcohol-related problems. 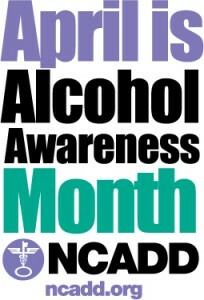 The National Council on Alcoholism and Drug Dependence (NCADD) has sponsored Alcohol Awareness Month every April since 1987 and provides all the information and resources you’ll need to support this cause. 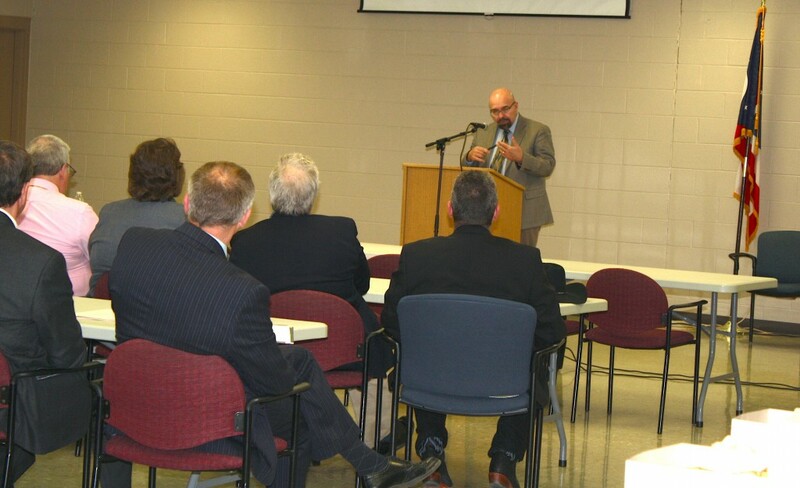 The theme for this year’s 2015 NCADD Alcohol Awareness Month was chosen to highlight the pervasive impact that alcohol, alcohol-related problems and alcoholism have on individuals, on families and children, in the workplace and in our communities: "For the Health of It: Early Education on Alcoholism and Addiction." "I Wasn't Having Fun Anymore"
Local NCADD Affiliates as well as schools, colleges, churches, and countless other community organizations will sponsor a host of activities to support this cause. For more information, visit the NCADD website.